Thinking of Selling? Find out what your Mississauga Home is worth. 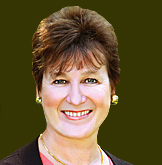 - Mississauga Realtor Cynthia Shaw offers a free home evaluation. Advice to those who are considering selling their home without the advice and assistance of a Professional Licenced Ontario REALTOR. The Home Listing Lifecycle - Cynthia Shaw explains the process and phases of listing your home for sale using the services of a licenced REALTOR and Brokerage. A Professional Home Inspector can pave the way for smooth closings and eliminate the purchasers doubt and uncertainty which are often deal breakers! Cynthia Shaw, Real Estate Agent in Etobicoke explains which home renovations and upgrades are statistically more likely to improve your home's resale value. There are many variables that affect the resale value for your home. Do you know what they are? Valuable Home Buying Tips and Advice when purchase of a home in Mississauga, ON - Expert tips from Cynthia Shaw, Sutton Group Quantum Realty Inc. Retired and looking to downsize your home and relocate? As a Certified Retirement Planner and Mississauga REALTOR I can help you make the right move. Homes for Sale in Mississauga, Ontario including Townhouses and Condos by Real Estate Agent Cynthia Shaw - Sutton Group Quantum Realty Inc. Brokerage. Be one of the first to receive MLS listings for the area you are interested in, If you've been house hunting, you will soon discover that many of the listings you are interested in are already sold. Hot Sheets allow you to stay ahead of the market. Marketing Plan - Lea's Marketing Plan to get your home sold faster! Thinking of buying a home in Mississauga and the surrounding area? Use our Mississauga Home Search to assist you in finding all avail. homes for sale. Browse Port Credit real estate and Port Credit MLS to help locate that perfect house, condo or townhouse in the Port Credit area of Mississauga, Ontario. Browse Mineola real estate and Mineola MLS to help locate that perfect house, condo or townhouse in the Mineola area of Mississauga, Ontario. Browse Lorne Park real estate and Lorne Park MLS to help locate that perfect house, condo or townhouse in the Lorne Park area of Mississauga, Ontario. Browse Clarkson real estate and Clarkson MLS to help locate that perfect house, condo or townhouse in the Clarkson area of Mississauga, Ontario. Browse Cooksville real estate and Cooksville MLS to help locate that perfect house, condo or townhouse in the Cooksville area of Mississauga, Ontario. Browse Rattray Marsh real estate and Rattray Marsh MLS to help locate that perfect house, condo or townhouse in the Rattray Marsh area of Mississauga, Ontario. Browse Etobicoke real estate and Etobicoke MLS to help locate that perfect house, condo or townhouse in the Etobicoke area of Mississauga, Ontario. Browse Applewood Acres real estate and Applewood Acres MLS to help locate that perfect house, condo or townhouse in the Applewood Acres area of Mississauga, Ontario. Browse Sherwood Heights real estate and Sherwood Heights MLS to help locate that perfect house, condo or townhouse in the Sherwood Heights area of Mississauga, Ontario. Browse Lakeview real estate and Lakeview MLS to help locate that perfect house, condo or townhouse in the Lakeview area of Mississauga, Ontario. Browse Meadowvale real estate and Meadowvale MLS to help locate that perfect house, condo or townhouse in the Meadowvale area of Mississauga, Ontario. Browse Erin Mills real estate and Erin Mills MLS to help locate that perfect house, condo or townhouse in the Erin Mills area of Mississauga, Ontario. Browse Streetsville real estate and Streetsville MLS to help locate that perfect house, condo or townhouse in the Streetsville area of Mississauga, Ontario. Browse Applewood Hills real estate and Applewood Hills MLS to help locate that perfect house, condo or townhouse in the Applewood Hills area of Mississauga, Ontario. Browse Orchard Heights real estate and MLS to help locate that perfect house, condo or townhouse in the Orchard Heights area of Mississauga, Ontario. Browse Sheridan Homelands MLS to help locate that perfect house, condo or townhouse in the Sheridan Homelands area of Mississauga, Ontario. Browse Gordon Woods MLS to help locate that perfect house, condo or townhouse in the Gordon Woods area of Mississauga, Ontario. Browse Markland Wood MLS to help locate that perfect house, condo or townhouse in the Markland Wood area of Mississauga, Ontario. Browse Mississauga Valley MLS to help locate that perfect house, condo or townhouse in the Mississauga Valley area of Mississauga, Ontario. Browse Erindale MLS to help locate that perfect house, condo or townhouse in the Erindale area of Mississauga, Ontario. Are you a first time buyer? Are you new to the real estate market? New to Ontario? - If so you will probably benefit from reading a copy of my First Time Buyers Guide. - Order your copy today! Cynthia Shaw is top Mississauga Realtor with Sutton Group Quantum Realty specializing in buying/selling Mississauga's finest homes and real estate. Write Testimonial - Write a Testimonial / Leave Feedback for Cynthia Shaw - Mississauga REALTOR with Sutton Group Realty Inc.
Write a Testimonial or Leave Feedback for Cynthia Shaw Mississauga REALTOR with Sutton Group Realty Inc.